Astrology determines the true nature of a person and compares it with that of the other person to find out the love compatibility among the natives. The primary purpose of going for a horoscope love match is to find out the love compatibility percentage that both the natives natal charts signify. There are many planetary combinations that if ignored, create constant friction in the life of the couple and makes all their efforts to keep their relationship stay afloat, go in vain. Therefore, it is highly advised to not to take chances when it comes to love relationships and consult professionals to take informed decisions. Future Points Love & Compatibility Report has solutions to all your problems. 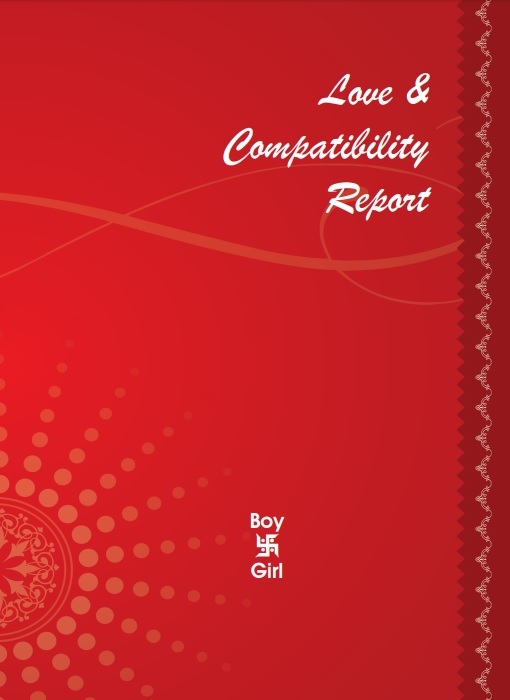 This 100 plus page report is the best and most accurate couple compatibility report. It carefully analyzes the interpersonal relationships between two individuals by comparing & reading their birth charts to determine their future relationship, personality, life style & relation with in- laws, along with the promise of wealth, property, career & progeny in the charts of both. This amazing & genuine horoscope relationship compatibility report also incorporates numerology reading, graphical representation of various astrological calculations along with Nakshatraphal report for both. Ashtakoot Guna Chart with Graph and many more! The most crucial benefit of this report is the Manglik Dosh Compatibility check and remedies that it performs, as Manglik Dosh is single handedly capable of wreaking havoc in the marital life of the couple even leading to the death of a partner in some cases. By getting to know your true nature it helps you to control your reactions when encountering stressful situations, thereby avoiding unnecessary arguments that lead to bitterness. It recommends timely remedies to pacify planets that are ill placed in the natal chart of either of the couple before they harm the natives in aspects of health, wealth, marital bliss, child birth etc. All-in-all, it paints a real picture of what will be the future of the relationship as per astrology, by keeping aside all emotions and employing just the age-old and time-tested golden principles of match-making! People are calling this process by different names today such as- horoscope compatibility love match or love horoscope compatibility or astrology love report, but it does not matter what you call it, as long as you take the right step that will help you find true love & never lasting happiness! Future Point urges all couples out there to know your love compatibility by birthdate or romantic compatibility by birthdate, today itself and make your love life an example to be followed by others!